To put it plainly, the new divide exists between those who have thrown off the old established paradigm of social control and those who still depend upon it, and who may be afraid to make the leap into free thought. This divide is amplified by corporate media in their attempts to create as much fear of the unknown as possible. We see every day, the attempts by corporate media to introduce new divides in modern American society. These new attempts at division seem to focus on the insecurities which the old societal divides played upon. The media continually targets the insecurities that we all share, and could actually solve rather quickly if we were not so thoroughly manipulated by this media and their distorted message. Despite the attempts by corporate media to distort the reality of visible events while hiding the positive benefits of recent developments, the current state of affairs within the United Sates is improving in many ways (though some developments are still controversial). 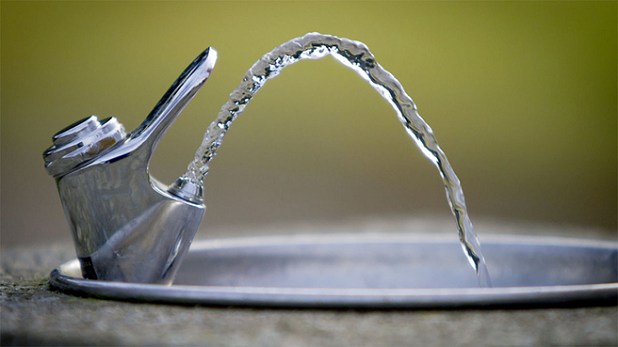 One of these positive developments is that of the improvement of drinking water in the U.S. Since the 1940s, the United States establishment has been pushing the chemical waste product, fluoride, on the American population without our consent. To justify this act, instead of reliable research the population has been given falsified explanations and half-baked scientific studies. These studies were claimed by past governments to validate the addition of unmeasured amounts of fluoride into drinking water. However, many of the people were not convinced. The original studies on the effects of fluoride have been proven largely false by modern science. Now, instead of following an outdated, obsolete and significantly manipulated explanation of fluoridation, the modern establishment is being forced to admit that fluoride is harmful to the human body and causes numerous degenerative effects including brain dysfunction. The issue with acute injury and death caused by fluoride is not so much the subject of debate. It is the chronic ingestion of fluoride and the cumulative effects of this toxin that have been central to the controversy. Up until this point, instead of thoroughly studying and testing the effects of fluoride, the stance of the modern establishment has been safe until proven dangerous. Until recently, the modern establishment has used a standard of health that directly opposes our natural self preservative instincts. Not only this, but past establishments have subjected massive populations to this careless oversight. We may even consider such an act to be deliberate sabotage of human health, but that is another discussion entirely. The good news is that this toxin is being removed from American drinking water at increasing rates and that accurate scientific research—though avoided until this point—has proven that fluoride does, in fact, have detrimental cumulative effects over time. This development is good news. However, we are still owed an explanation as to why accurate science took over 70 years to complete and why seven decades of fluoridation went unchecked. Until we see a full disclosure of the reasoning behind this gross negligence, we have plenty of research to fuel our resolve to see such disclosures take place.